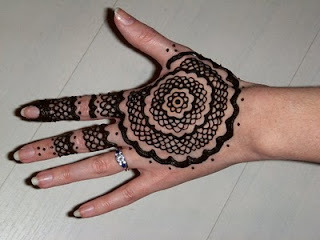 Mehndi Class Henna 101: An in depth introduction to the basics of henna tattoos. Everything you need to be comfortable and confident doing henna. A hands on "how to" henna class for henna beginners to intermediate henna artists. Taught by Jody of Beachcombers Bazaar. The only thing you need to bring is yourself and a smile. A comprehensive henna kit is provided. Feel free to bring henna you already have if you have questions about it. Cost includes workshop and complete henna workshop kit (no substitutions for kit products). Additional product will be available for purchase after the workshop at discounted prices. Payment must be made before the workshop by Visa, MasterCard or cash. Sorry no coupons or discounts are accepted for workshop registrations. No refunds due to limited seating. Henna for Haiti a Big Success! New Khussa Indian Shoes are HERE! Boatload of New Bindi Just In!